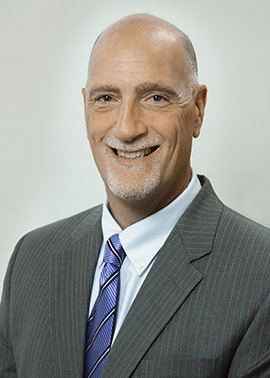 Greg J. Florio became Executive Director at CREC in 2016, following an almost 25-year career with the Cheshire Public Schools, including 12 years as Superintendent of Schools. Before Cheshire, Dr. Florio worked in the New Britain School system. Since joining CREC, Dr. Florio has led many major initiatives including a complete assessment of the organization using a “Think Tank” model. This process has led to many improvements and changes at CREC, including a redesign of the organization’s sale of service divisions into the CREC Resource Group. CREC also redefined its Mission, Vision, and Core Values. Using extensive stakeholder input, CREC has developed a path for successfully serving the region with excellent educational programs and services. Dr. Florio has not only focused on sustainability for all CREC programs, but on assuring programs thrive. Among the work he is most proud of while leading CREC, was the creation of the Relief Center that helped over 1,500 people transitioning to the Hartford Area from Puerto Rico and the Caribbean after the devastating hurricanes in 2017. He also looks forward every year to the CREC Back to School Block Party for students and families from across the region to celebrate the anticipated start of each new school year. Dr. Florio is a respected educational leader, with extensive involvement in educational organizations and committees. He has served as the President of the Connecticut Association of Public School Superintendents (CAPSS) and has served on the CAPSS Board of Directors for many years. His work on numerous statewide committees includes helping develop LEAD Connecticut’s District Coherence and Capacity Framework and CAPSS NextED report on transforming Connecticut public schools. Dr. Florio’s undergraduate degree is from Fairfield University. He has a master’s in business administration from the University of Hartford and a sixth-year certificate and doctorate of educational leadership from Southern Connecticut State University. Dr. Florio is the fourth person to serve in the role of executive director at CREC, following Bruce E. Douglas, Ph.D. (2001-2015), Marcia Yulo (1998-2001), and founder John Allison (1969-1998). Dr. Florio and his wife, Rose, reside in Newington. They have three adult children, Suzanne, John, and Melissa.